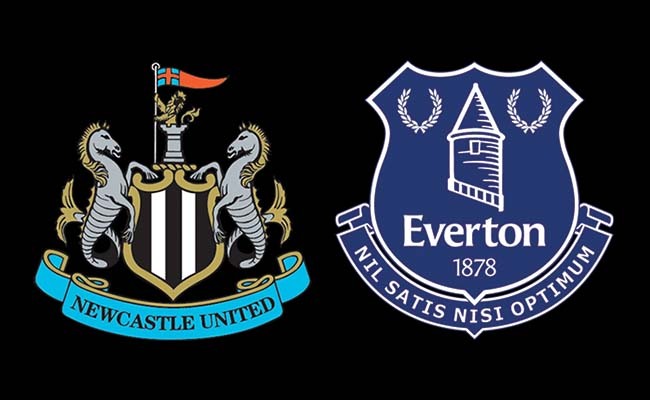 Everton (H): Pre-match thoughts, team news & predicted line ups – NUFC blog – Newcastle United blog – NUFC Fixtures, News and Forum. Last weekend’s comfortable defeat at the hands of West Ham was a reality check – and this one could be too if we aren’t careful. We’re chasing our FIFTH straight home win at St James’ Park, with a victory putting us in touching distance of Premier League survival, however we’re facing an Everton side who’ll be buoyed by their well deserved draw against Liverpool last weekend. Ironically, we played Everton in December on the back of their devastating last minute defeat at Anfield, however they come into this one with a spring in their step after a hard fought point against Liverpool – one that would’ve felt like a win to the fans given their desire to stop their local rivals winning the title. That said, this isn’t an Everton side I fear. They were flying in 6th when we played them earlier in the season, yet now they’re as close to us in 14th (6 points away) as they are to 7th – a position they called their own not so long ago. Longstaff’s injury is a blow (although I’m relieved to hear it’s ‘6-8′ weeks and not months! ), but I don’t see any reason why we get the better of this Everton side based on what I’ve seen of them and what I’ve watched from us at St James’ Park recently. We looked a little sluggish and sloppy at West Ham, so it wouldn’t surprise me if Rafa makes a few changes. That said, we have a group of players that pick themselves right now, so I see the only changes being Yedlin in for Manquillo and one or two or Shelvey, Diame and Ki coming in after Longstaff’s season-ending injury. Considering how Shelvey and Diame played together this time last season, it wouldn’t surprise me if both started – especially when we need to start preparing for life without want-away midfielder Isaac Hayden. Diame needs starts to trigger a one-year extension – not forgetting he was our best player in his second half cameo at West Ham – while Shelvey could be the ball player we need to unlock to door and make the most of Almiron’s frightening pace and intelligent runs out wide and in behind. For the record, Hayden doesn’t deserve to be dropped and I wouldn’t be surprised to see him start again. 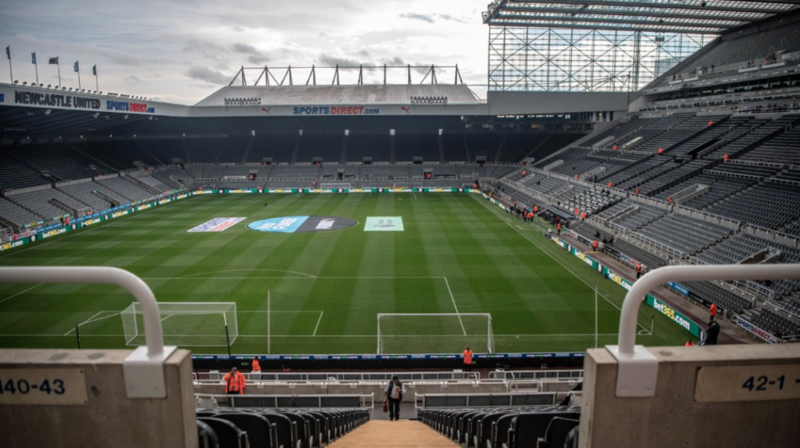 Preferred NUFC XI – (3-4–2-1) – Dubravka– Schar, Lascelles, Lejeune – Yedlin, Diame, Shelvey, Ritchie – Perez, Almiron – Rondon. Richarlison: The Brazilian winger scored in our 1-1 draw at Goodison and although he’s been far from his best of late, I remember him tormenting Yedlin all afternoon when his old Watford side hammered us at St James’ Park last season. 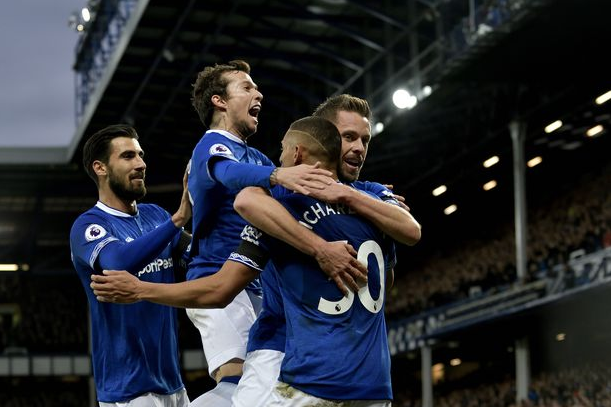 Gylfi Sigurdsson – A quality number 10 who will give Everton more cutting edge alone than Huddersfield and Burnley mustered in our last 2 hone games. We can’t afford to give him any space in and around the edge of the box. Jordan Pickford – The former Mackem is a great goalkeeper on his day but he’s dropped plenty clangers this season. He can be a little too impulsive when it comes to claiming crosses and playing out from the back, so putting him under pressure is a must. Andre Gomes – He didn’t play in their 0-0 draw with Liverpool last weekend, but the Portuguese midfielder is a majestic player who can pull the strings and skip past a man at ease on his day. If he starts, it’ll be Hayden or Diame’s job to get into him from the off. Predicted Everton XI – (4-2-3-1) – Pickford – Coleman, Keane, Zouma, Digne – Gomes, Gueye – Walcott, Sigurdsson, Richarlison – Calvert Lewin. 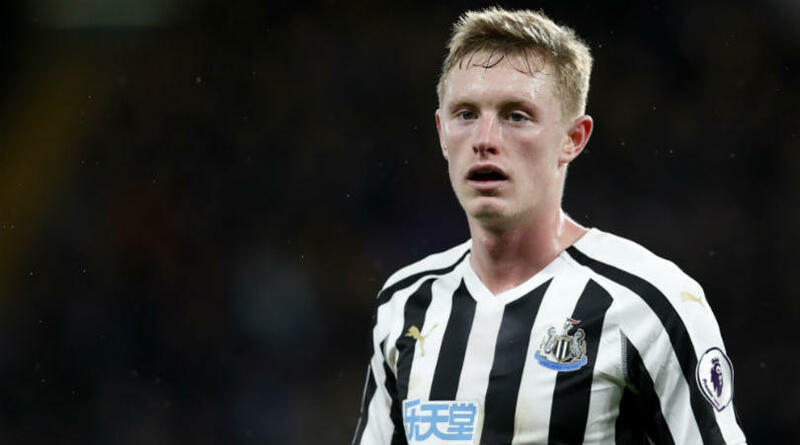 Sean Longstaff is ruled out – with Rafa confirming that he’ll miss ‘2-3 months’ – while Ciaran Clark and Rob Elliot are also out once again. For Everton, it seems the only senior absentees will be Leighton Baines and Phil Jagielka – not that either get into their side these days. Richarlison and Andre Gomes could be recalled after being benched for last week’s Merseyside derby. I can’t see past a draw for this one. We’ve become hard to beat at home (cue a comfortable away win for the Blues! ), but Everton will be buoyed from the draw with Liverpool – something thats’ relieved both the pressure on them and Marco Silva. As much as Rafa will demand we give 100% and remain focused on staying up, I think a few players will have taken their foot off the gas every so slightly after back to back home wins over Huddersfield and Burnley. Hopefully we cut out the errors on show at West Ham and are fully focused on putting in another big performance at St James’ Park in this one. There’s no reason why we can’t make it five home wins on the spin, but I can see a score draw. I think it is a very difficult game to predict because as many have said before you never know which Everton team will turn up. They should be better than they are though as I believe they have spent more than 300 million in the last few years. Imagine what Rafa would have done with that. I actually don’t know why their owner bought them. He was flush with money from his sale of shares in Arsenal but they need a stadium and talk is it will cost 500 million. If they get the same builders as Spurs you can probably add another 200 million. Then there’s the fact they play in the same city as Liverpool. I don’t care who was the better team in the 50s but Liverpool have 5 Champions Leagues and are vastly bigger on the global stage. Everton just can’t compete. Why didn’t their owner just write the Fat Man a check for what he wanted? Oh well, water under the bridge. There’s about 5 or 6 players who can be very good players on their day but sometimes don’t turn up – Ricarlison, Sigurdsson, Wolcott and others. Then there is the Mighty Mackem. I said on the last thread that it should be fun just to see him get stick. I think we will see a similar team with Ki for Longstaff and Yedlin back in. I just don’t see Shelvey starting unless Rafa reverts to a back 4. With Schar and Lejeune able to play accurate long passes having Shelvey there would have too many with the same skill set. If we go to a back 4 later on like at West Ham I could see Shelvey and Muto as part of a Plan B. That would probably mean we are losing so I don’t want to see it. I think he’ll play Hayden and Diame in the middle. Yedlin back in. I can see Shelvey starting today, wonder if he could give miggy some interesting balls to latch onto. Might be mind games but I read a quote that Rafa said Shelvey not match fit yet. Also said he is training well which usually is Rafa’s code for he will make the squad. I expect him on the bench. I would rather we didn’t play 2 defensive mids but Georgio has a point because Hayden has done well and Diame was our best player when he came on against Wham. I would like to see Ki so we don’t just sit back and invite pressure. I wonder how many of the Everton team cost more than our transfer record which is still 16 million because the final total for Almiron is with performance ad-ons. I think even Schneiderlin cost like 25 million and Pickford 35. Wasn’t Tosun like 26 million? I think there might be 7 or 8 over 20 million. Eric, they have spent a shed load but i still don’t think they are any closer to challenging to any great degree . not on here as often lately as i am having trouble submitting comments, it will let me do one then no more ? have to keep closing and reopening thread ! Been like it for couple of weeks now, no trouble on other sites. Ice: I looked them all up on Transfermkt.com. I seem to remember 27 million as well, but the point is still the same. There are 9 players more than our record transfer. Before that I think Scneiderlin and Lukaku cost over 20 million as well. If you had an underachieving league I think Everton would be would be worst. Maybe Man U before OGS took over. I looked on The Mag website and they had an article on fans’ comments about us on one of the Everton message boards. There was a lot of hatred there. I didn’t even realise we mattered to them. They certainly don’t matter to me but after seeing those comments I hope we stuff them. Eric , they hate us for some reason, not quite sure why, is it cause we took big Dunc off em 😀 or maybe it’s the Rafa connection. Either way I couldn’t care less, they are no marks, always in Pools shadow and seem generally a bitter bunch. Brighton retake the lead, Knockharrt, who really should of seen red at start of game, that’s gotta sting the Palace faithful . So it’s Ki to start and Yedlin back. Who knows how things will pan out but I am glad we didn’t go with 2 defensive mids.. Pleased to see Ki back in. I thought Rafa would go conservative with Diame. He usually does. Yeddy is the one I worry about, very poor defensively imo. How does Joselu get on the bench ahead of Muto, he must of pi ssed on Rafas cornflakes. We’ll see which West Ham turns up away at Cardiff. It better be the one that played 1st half last week. Wake up lads and why the h ell does Ritchie not pass to Almiron ? woohoo pen for us and could be a red here ? How can you rugby tackle someone in the box and stay on? Pcikford didn’t even get a yellow. these Everton players are horrible knuts, they really are . Kimtoon: I looked at that twitter feed and I am still not sure what the rules are. But if that is not a red card, then the rules are wrong. A lot of misplaced passes today. What colour is Dummett’s hair. It looks like a blue rinse that my Granny would get. There is no way Pickford should be England keeper. He is too short and makes bad decsions. He is a very good shot stopper though. But that is not enough. He did it again. Maybe its nerves at SJP for Pickford. If however the foul is deliberate , it’s a pen AND a red. He clearly bought Rondon down with no intention of getting to the ball. It was a clear red, awful awful decision there by Mason. We have been awful today, plenty of chances to get level , all scorned and the game massively changed by a very poor ref and penalty kick. Nice goal. Need to get another. Lee Mason doesn’t know the rules then. Not even a yellow is a disgrace from a professional Ref. I know I am dwelling but the other thing that the penalty controversy and then save does is make us lose concentration. Then they go up the other end and score. Eric, he bottled it is all I can assume , there was a covering defender so not last man but the fact is he deliberately bought Rondon down so by the rules it’s a red card. Mason has been really poor this game. Anyone else feel sick about now ? Get in , wonderful comeback , well done lads. What the hell happened with Spurs? And West Ham. You just never know with them. Have a look at my post from earlier with the Everton 20 million plus players. Now we are only 3 points behind them. Haven’t Spurs got a few injury’s ? They cant be that complacent about champions league football, surely ? We got lucky with offside I think. It wasn’t payback for the non-sending off because it was the lineman’s call. Marco Silva furious. Shearer already tweeted what a bad call the non-red was. I wish I got Match of the Day here. He will be over the moon but might save a bit of spite for Pickford. You could hear the crowd singing “you’re just a SMB” on the feed here. God I wish Mason knew the rules and sent him off. I’ll take the win though. A bit late on here but I was out so didn’t see it in real time. Recorded it and managed to not hear the score before watching back… excellent result. First time since wor Bobby was manager that we’ve come back to win from 2-0 down. Pickford should’ve definitely been sent off clear as day. Surprised that Ritchie didn’t score his pen this time,usually he is very good.